RadioLabs Exclusive Backfire Antenna is a very small antenna with extremely good gain. With a half power beamwidth of 32 degrees, the backfire is a highly directional 2.4 GHz antenna to put the signal exactly where you want it. The backfire is convenient because of its small size. The 15 dB of gain is incredible for an antenna this size. Installation is very simple with the included mounting bracket. The backfire is weather-proof because of it’s ABS radome, which covers the radiating element. 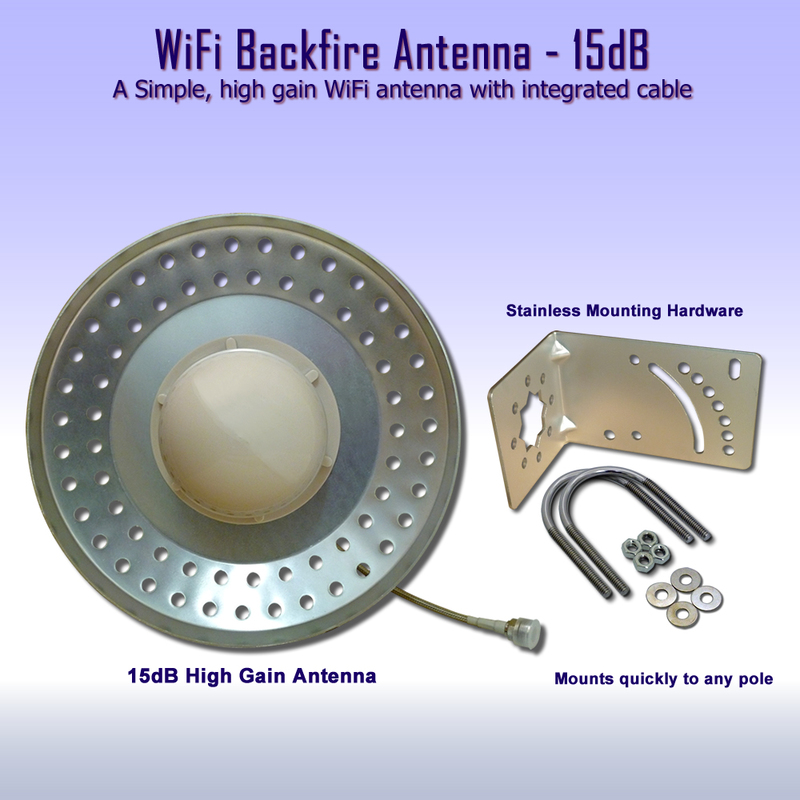 If you have limited space but still need a high gain antenna, the Backfire is the perfect antenna for you WiFi installation. For full specifications, please see datasheet below. The Backfire 2.4 GHz wifi antenna, is our longest selling, top performing wifi antenna. One of the first , and still most successful RadioLabs Antennas, no other antenna provides this level of performance for the price. With the RadioLabs directional backfire antenna, creating a point to point, or point to multipoint WiFi link is simple. With a 33 degree radiation pattern, the antennas decrease or eliminate surrounding sources of WiFi interference and allow you to send the WiFi signal from one location to the other, with high gain, minimizing interference from other sources. The RadioLabs Backfire 2.4 GHz directional antenna, has true vertical and horizontal separation. With this reliable high performance antenna in high traffic areas, you can lay the antenna over on it’s horizontal polarization side, and decrease all surrounding traffic, most of which is in the vertical domain, and decrease most interference by a whopping 22dB, while still keeping forward gain of your wireless network at 15dB. This is an incredible feature to use, allowing you to put WiFi bridge links in, in areas otherwise impossible with vertically polarized antennas only. To use this feature, simply rotate our antenna 90 degrees on the mounting brackets and the signal will instantly change to “H Pol”, or, Horizontal Polarization. 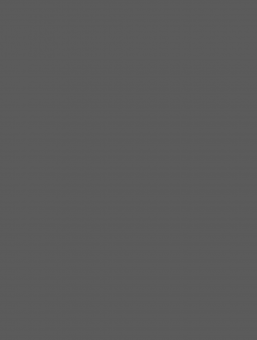 This feature has enabled our customers to put in a point to point bridge system in high WiFi traffic areas, where the use of other 2.4 GHz bridge or antenna systems would never have worked or been possible in the first place. By decreasing the antenna’s radiation pattern and pointing the signal exactly where you want it to go, the possibility of people detecting or trying to hack your network are dramatically decreased. 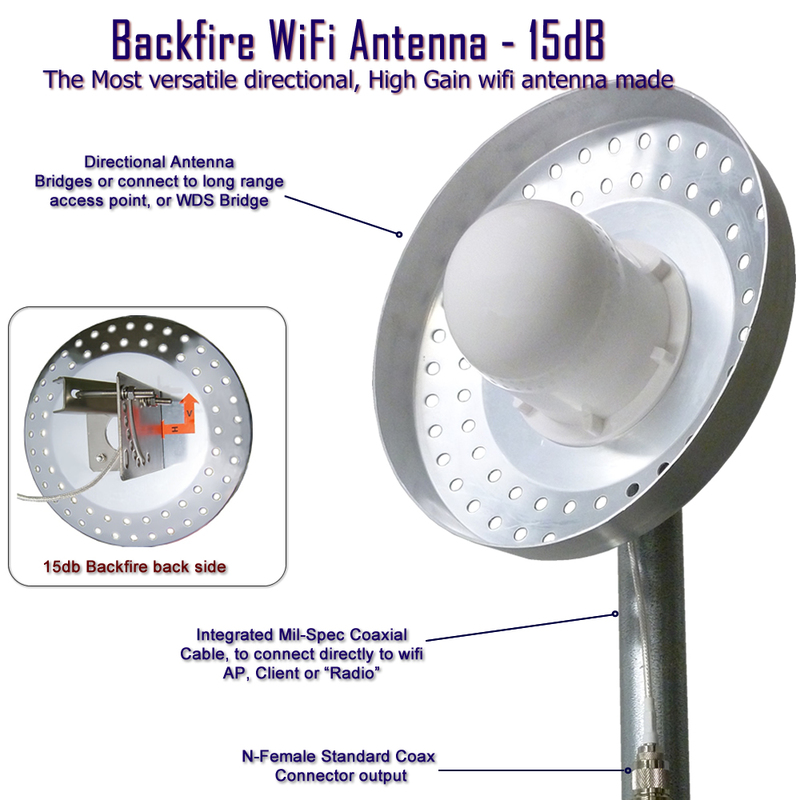 If you have a point to point, or point to multipoint network system, the backfire is the perfect antenna for bridging the wireless gap. The universal mounting bracket on the backfire antenna swivels to a 45 degree angle so you can point the antenna uphill or simply straight forward. All hardware is made from very high quality stainless steel, precision machined and completely weather-proof. The backfire antenna comes with an integrated type “N” female antenna connector and a small 10″ pigtail connection. If you plan on using this antenna outdoors or long way from your router, make sure you order a cable that is the appropriate length to extend from the back of the backfire antenna to your wireless router or Wireless access point. RadioLabs offers cables in standard lengths or we can customize a cable to your specifications. For a complete listing of our wifi antenna cables, go here. Please keep in mind, RadioLabs offers custom cables for most routers and wireless cards. There is no need for a pigtail, saving you money in the long run!